Step back twenty years (or forty or sixty, if you prefer), and a bar book is a book of drink recipes (probably unattributed), perhaps with a little technical preamble, a smattering of jokes, and a burgundy cover that is recognizable next to years-old vermouth. The bar book of the late twentieth century is almost perfectly analogous to the phonebook, both being unassuming collections of useful data. 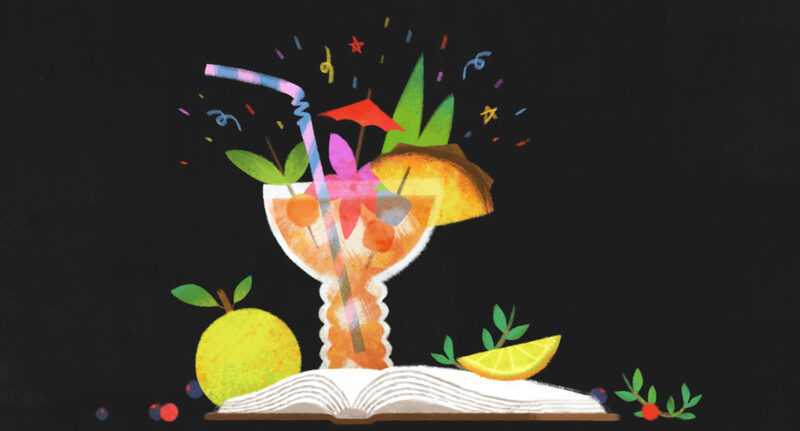 But in an era of diverse and bountiful drink-writing, straightforward recipe books have widely replaced the word “bar” with the word “cocktail.” This is a welcome change because it liberates the term “bar book” to reference one of my favorite categories of drink writing: books about specific bars. The modern lineage of (actual) bar books is relatively brief compared to other types of drink publications, no doubt because each book requires a drinking establishment of stability and splendor to serve as its foundation. The PDT Cocktail Book led the way in 2011; Death & Co., The Canon Cocktail Book, and The Dead Rabbit Drinks Manual are among the best of those that have followed. For a rum connoisseur, however, the bar book to turn to is almost certainly Smuggler’s Cove: Exotic Cocktails, Rum, and the Cult of Tiki, written by Martin Cate with Rebecca Cate and published by Ten Speed Press in 2016. Since opening in 2009 on a decidedly bland street in San Francisco, Smuggler’s Cove has served double duty as both a tiki bar (umbrellas in the drinks and decoration extending up into the rafters) and a rum-sipping bar. During my own recent visit, I was one of several guests sampling Painkillers and Monk’s Respites, but my immediate neighbors at the bar were contemplative men (yes, all men) sipping precisely measured, hundred-dollar pours of fantastic-smelling, richly brown spirits. 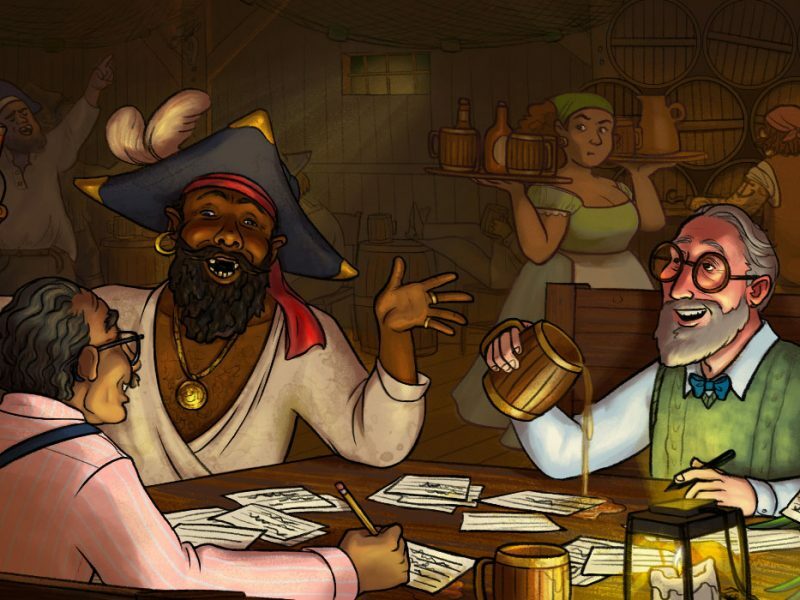 In a bar filled from floor to ceiling with pirate cove décor, Mr. Cate has created a comfortable zone for serious rum tasting, so it’s only natural that his tiki-forward book deliver substantive grist for the rum aficionado reader. And the book’s subtitle is apt: While this is a bar book first—with the Smuggler’s Cove’s menu serving as the source of the cocktail recipes and its interior serving as the case study for tiki architecture—the authors have other agendas. First among these is fostering a love and awareness of tiki, in service of which the Cates take the reader through a decade-by-decade history of the movement, from its foundings with Don the Beachcomber in the 1930s through its golden era after World War II, to its decline in the late ’60s and its revival in the ’90s. Second is providing a how-to for creating tiki ambiance, with suggestions on décor, attire, music, garnishes, and vessels for large-format drinks. Third is to serve as a succinct guide to rum, enumerating the basics for novices and prescribing an impressive array of bottlings to aficionados. It’s an ambitious scope, but in 352 pages, the Cates manage to touch on all these points with plenty of room for recipes and photographs. In fact, the authors and the crew at Ten Speed have created what is, simply put, a beautiful object, rich with texture and shadow. In a book market that seems to select winners and losers based on how colorful the pages are, it’s a given for cocktail books to be rife with photos. It is the usefulness and originality of the photos that set the better books apart, and Smuggler’s Cove succeeds by offering multiple tableaus that showcase cocktail presentation and tiki décor ideas simultaneously. This ambiance extends to every area of the book—even the white space on recipe pages, which are toned to appear old and loved. While I would normally find the faux staining to be in poor taste, the Cates make a compelling argument that the spirit of tiki demands a suspension of disbelief and a mental journey to a land that never was. Of course, the deluge of craveable recipes makes it all the easier to pretend that they’re printed on decades-old banana paper. Counting the exact number of recipes in the book seems antithetical to the spirit of tiki, so we’ll just say there are a few more than a hundred. More important than the quantity is the quality, and here Mr. Cate definitely delivers. I’ve prepared about a fifth of the recipes, and they’ve reliably been well balanced without any additional tinkering with the proportions. Even Mr. Cate’s limeless Corn ’n’ Oil, which doesn’t quite sing like a juiced one does, earns its place as a welcome Old Fashioned–style tiki drink. Of course, any bar book must straddle the line between unpacking a celebrated bar’s professional-grade techniques and offering more accessible paths to close-enough approximations, and Smuggler’s Cove does a reasonably decent job of this. Mr. Cate is a vocal proponent of using a drink mixer for tiki drinks, and he offers some affordable options. I’ve used a hand mixer with a liquid blending rod to test Mr. Cate’s method, and I think he’s correct that mixing is superior to classic shaking and rolling for drinks that are destined to be served on pebble ice, but I’ve also become convinced that the mixing method is not as important as the homogeneity of the ice pieces. While a boozy julep thrives on mallet-crushed ice, within the juicy world of tiki, quality pebble ice is not easily substituted. While Mr. Cate makes less of a point about ice preparation than he does about mixing, he doesn’t let us down in the how-to department: A recommendation for an ice crusher is easily found in an appendix. In this the Cates are successful, perhaps to a fault. The book alternates between narrative and recipes, with each section of recipes exemplifying the era or concepts of the chapter they follow. Donn’s 1930s creations—with their relatively narrow flavor palette—lead the way and are followed in rough chronological order until the narrative reaches the ’90s tiki revival, and the century’s slow progression towards sweetness and creaminess is suddenly upended. Following the Cates, a budding tiki enthusiast can taste their way through eight decades and end with a comprehensive exploration of Smuggler’s Cove originals—a wonderful exploration to undertake, undoubtedly. What the Cates don’t offer is a way of finding drinks by the styles or characteristics that typically guide cocktail selection. 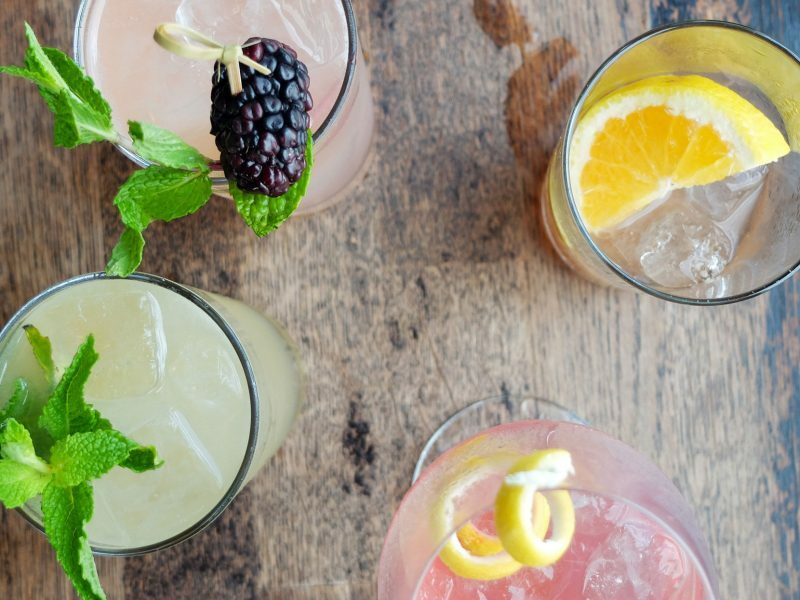 There’s no way to find all the stirred offerings or all the drinks that contain falernum. A quick reference Smuggler’s Cove is not. But that doesn’t stop it from being comprehensive: The back-of-book section covering syrups and tinctures is as reliable as any such guide (save Jamie Boudreau’s Canon Cocktail Book, which is a subject for another day). The Cates construct this section in a logical procession starting with simple and demerara syrups and moving towards obscure concoctions like jerk-seasoning syrup. Tiki is a sweet genre on the whole, so getting as much texture and flavor as possible out of the syrups is important. The 2:1 sugar-to-water ratio and variations that incorporate core tiki flavors like cinnamon and passionfruit reinforce the notion that Mr. Cate is looking to perfect his creations from every possible angle. The desire to share the love of tiki extends to all aspects of the book, from the origin stories of the 1930s and ’40s, to the Cates’ own tiki awakening in the 1990s, to coverage of tiki culture today, from the artisans crafting tiki wares to the full-blown tiki conventions operating in California and Oregon. If I have one major misgiving about Smuggler’s Cove, it’s that the Cates’ account is an almost relentlessly rosy ode to the movement, brushing only briefly on tiki’s darker side, namely the cultural appropriation of Caribbean flavors and Polynesian décor for the entertainment of a white audience. Tiki’s inauthenticity and inherent racism are addressed briefly within the context of tiki’s decline in the 1970s, as if the cultural awakenings were a passing phenomenon. Absent from the book is any commentary on the continued whiteness of the tiki community. Hundreds of smiling faces peer out from the pages of Smuggler’s Cove, and while you’ll find people of color dancing, serving, and making tiki crafts, white people seem to have a near-monopoly on actually enjoying tiki. Asked about this, Mr. Cate acknowledged the imbalance at tiki conventions but the pointed to Smuggler’s Cove’s customer base as a counter-example: “[Among] our regulars and guests, we’re seeing a huge spectrum of people from across gender, race, sexual orientation, religion, and more. 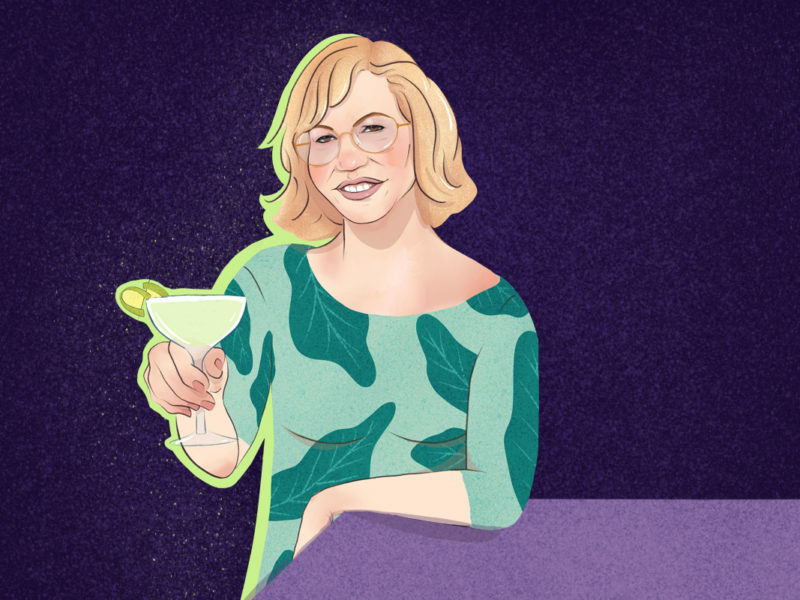 It’s reflective of the diversity of San Francisco, of course, but it’s also reflective of what we’re doing.” Ms. Cate said that she hoped that the book would extend tiki’s allure across boundaries, since copies of the books may end up where tiki bars are not. I hope the same, but I fear that the acute lack of diversity depicted within the book may undercut that potential. While Smuggler’s Cove may not be reaching across long-standing racial boundaries, it absolutely has what it takes to kindle an awareness of tiki’s history and foster a wider love for the movement. There is no finer chapter in the book than “The Tiki Revival,” in which the Cates detail, with clear admiration, the curation and research conducted in the 1990s. They pay tribute to Sven Kirsten, Otto von Stroheim, and Jeff Berry, a triumvirate of tiki fanatics who rescued artifacts, stories, and recipes that were but a decade away from permanent loss. The Cates noted that their publisher had pushed them to cut this chapter and that they had had to fight to keep it. “Jeff saved Don the Beachcomber from obscurity. This is a fact, and we wanted to highlight that,” Mr. Cate said. We should be thankful that the authors won that battle, for in honoring the revivalists, the Cates make their strongest case that tiki is still alive—and that its story is still being written. H James Lucas’s love of books stems from his being raised by a librarian. His love of rhum stems from having married into a half-Haitian family. His obsessive tendencies seem to have manifested spontaneously.